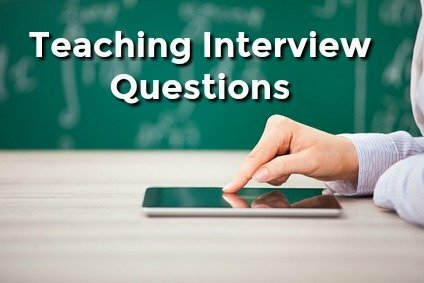 These are the teaching interview questions that explore your subject knowledge, teaching techniques and use of technology in the classroom. They also look at your fit with the school and district. Be prepared with good answers to these typical job interview questions and set yourself apart as the right teaching job candidate. Use the interview answer help provided to develop your own good responses, provide specific examples from your own teaching experiences to support your answers and respond in a fluent and confident manner. Tell me about the materials you use in the classroom to support your teaching. Demonstrate your knowledge and application of the range of instructional materials and aids available to teachers. Discuss how you determine which resources to use and elaborate on how they have been useful in facilitating learning. Support your answer with specific examples of lessons you have conducted. How do you keep up to date on your subject? Teachers have to keep up with a continually evolving curriculum. It is essential to demonstrate a willingness and ability to keep current on your subject area in order to provide high quality instruction. Research indicates a strong positive connection between a teacher’s preparation in their subject matter and their performance and impact in the classroom. Cite specific examples of resources you have used to update and expand your subject knowledge such as subscriptions to relevant publications, attending seminars and on-line research. What are your areas of strength in the curriculum? Teaching interview questions like this require an honest self-assessment in identifying your strengths. Show a clear understanding of the curriculum and explain why you have identified the particular areas as your strengths. Acknowledge areas that you want to improve on and discuss the steps you are taking to do this. How do you incorporate technology in your lessons to enhance the learning experience? Your answer to teaching questions about technology should demonstrate your understanding that technology integration is about incorporating easy-to-use tools and program features into your lesson plans and activities to enhance learning. Using technology wisely in lessons can increase classroom participation and encourage the development of critical thinking, communication and comprehension skills in students. Highlight your knowledge of computer applications and specify the methods you use for introducing computer tools and applications into your classroom. Expect some teaching interview questions about the particular teaching position and school district. Why do you want to work for our school district? Use your background research on the school district to prepare some insightful reasons on why you want to work there. What is it about the community that attracts you? What sparked your interest? What sort of reputation does it have? Do you have any personal experience with the school or district? Look online to research its test scores, student numbers, educational goals and objectives, upcoming initiatives and extracurricular activities. Make sure the information you use for your answer is current and accurate. The interviewer wants to be convinced that you really want to work there and are not just looking for any teaching job so be convincing about your reasons and back them up with effective background research. How do you teach to state standards? 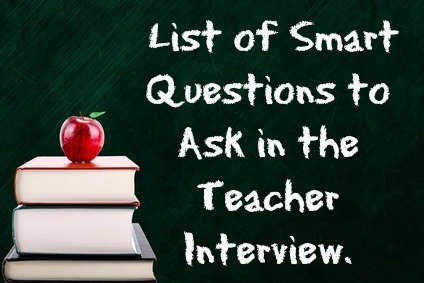 Expect teaching interview questions that center on state, local or national standards. Show a clear understanding of the relevant state and national standards and highlight that you adhere to these standards. Your lesson plans in your teacher portfolio should have the state standards indicated on them. Prepare for teaching interview questions about classroom management and discipline and your ability to effectively manage student relationships and parent contact. 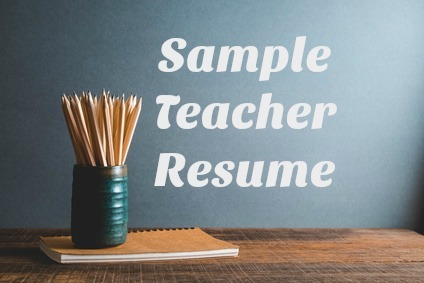 Expect teacher job interview questions that explore your personal motivation and personal qualities for a teaching position. Interview questions for teachers that explore core teacher competencies. Prepare some insightful questions to ask in your teacher interview. Expect these top 10 interview questions in your teacher interview.